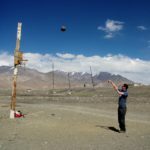 At present, the greatest challenge on the coldest continent is that it’s too warm. 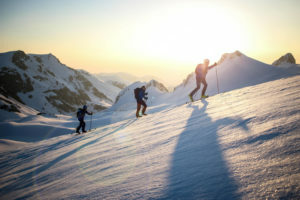 Abnormally high temperatures have resulted in soft, deep snow, a nightmare for skiers with heavy pulks. In the last week, Rudd has slightly narrowed the gap between himself and O’Brady from 40km to 32km. 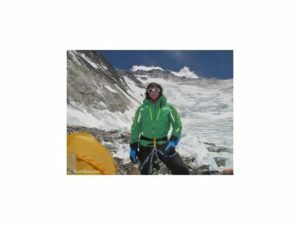 Both men have now manhauled from sea level up to the polar plateau at 2,700m. 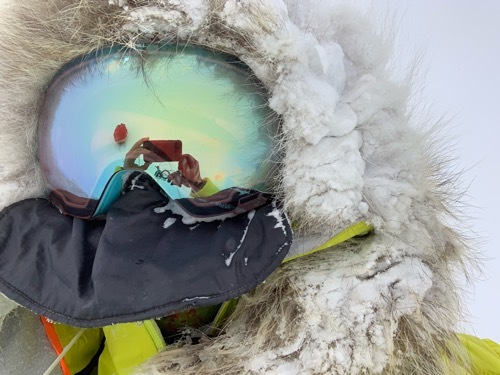 The remaining distance to the South Pole (170km for O’Brady, 202km for Rudd) is largely flat and will be welcome after four weeks of uphill toil. Both Rudd and O’Brady have had their share of spills. 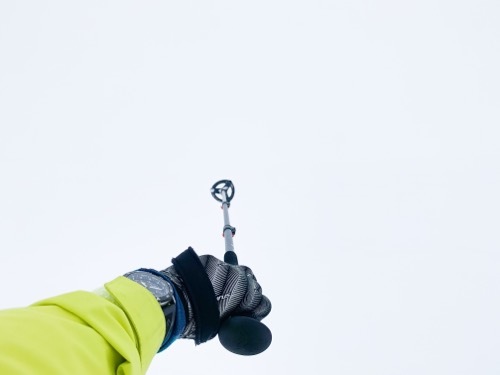 On November 30, Rudd tripped over a one-metre sastrugi ridge in zero visibility, snapping a ski tip. The same day, O’Brady tumbled as well. Eventually, one of his climbing skins detached from the ski bottom. 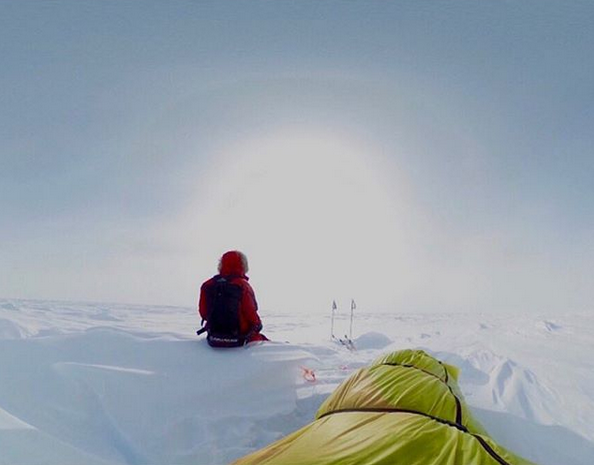 With too much wind to stop and put on a backup in his light travel clothes, O’Brady pitched camp and took his first downtime of the expedition. The layover helped O’Brady rip through 31km the next day, and he has now reached the 88th degree. 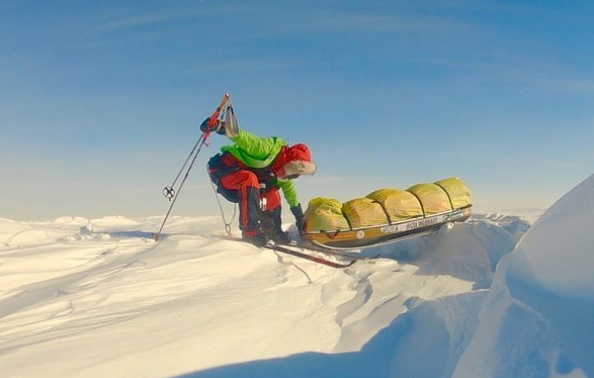 Both men will face more sastrugi in the coming days, but their pulks are lighter. 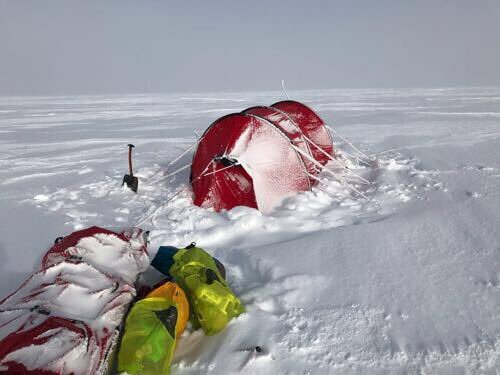 Each man should have now used approximately 35kg of food and fuel. Rickshaw driver Masatatsu Abe has struggled with the isolation as well as the soft snow. He expected to be covering 20km per day by now, but his current pace of only 1.5kph has put this out of the question until the snow hardens up. Abe has been keeping himself sane(!) by playing with his robotic companion, AIBO, and listening to some frankly abominable music by his favourite group, Dempagumi.inc to give him courage. 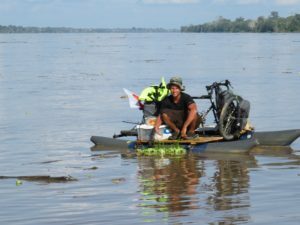 In his daily satphone calls with Antarctic Logistics & Expeditions (ALE), he has been encouraged to learn that the other manhaulers have also struggled with these conditions. 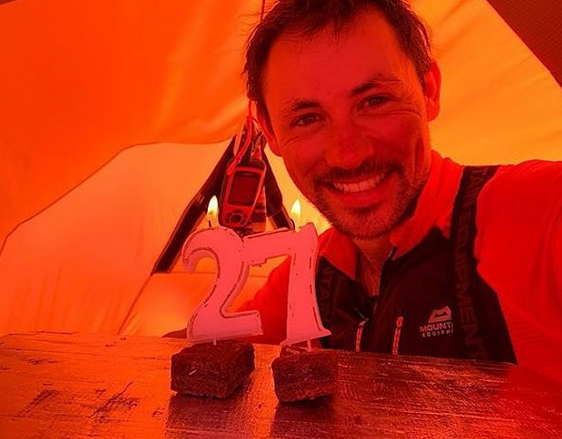 Matthieu Tordeur marked his 27th birthday on December 5 with a mini-cake. Something else to celebrate: He has crossed 81 degrees south. Eric Larsen’s chances of a speed record may already have ended, practically if not officially. 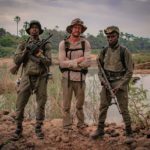 The American’s best day so far has been 36km, while he needs to maintain at least 47kpd to keep pace with Christian Eide’s record. It may be too great an ask to make up the distance, even if conditions improve. Meanwhile, Jenny Davis has headed to Mt. Vinson. 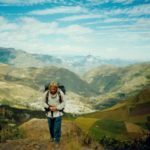 Before she begins her speed-run to the South Pole, she will climb the 4,892m peak with her husband to acclimatize to the cold and altitude. 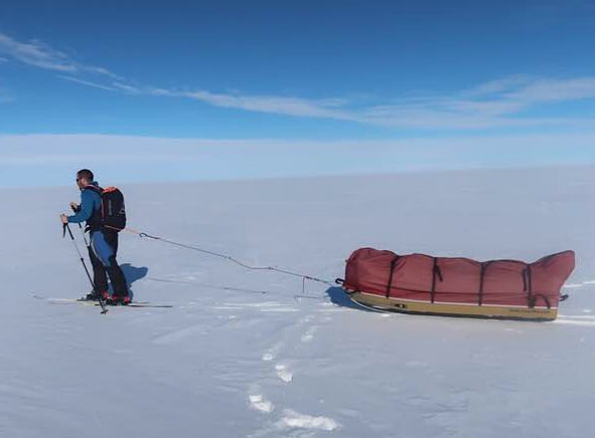 UK scout Joe Doherty is, indeed, not alone en route to the South Pole. He is part of a guided team of four with Grazyna Machnik, Gabor Rakonczay and Christian Iversen Styve as their leader. Grazyna is finishing her quest for the Explorers Grand Slam and hopes to tick off both Mt. 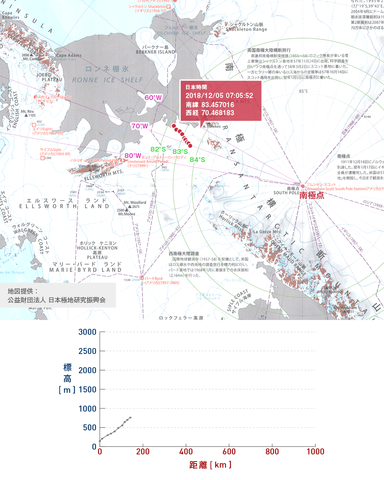 Vinson and the South Pole. 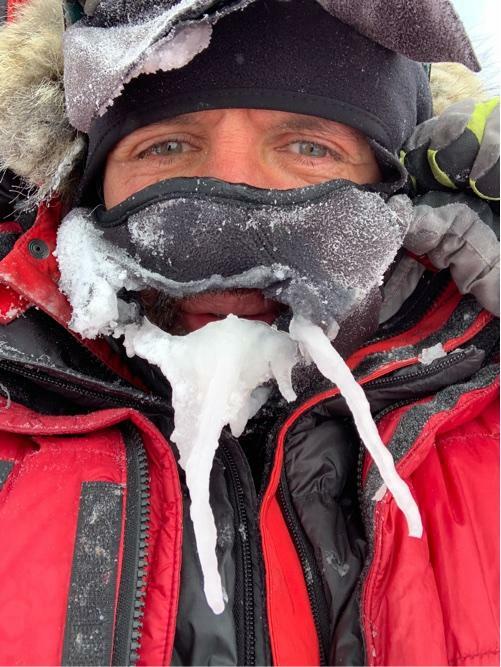 Rakonczay, an extreme athlete, seeks to become the first Hungarian to reach the South Pole on foot from Hercules Inlet. Laval St Germain has been “skiing through cold milk” this week. The Canadian’s extremely laboured progress has prompted him to take a number of rest days as he grinds south.